Appr. 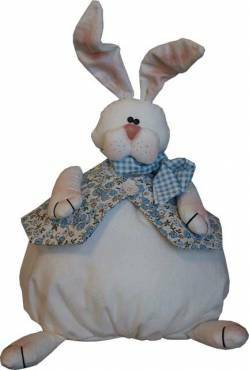 30 cm tall; Bunny complete kit with all material including fabric, buttons, embroidery floss, pellets, pattern. Not included stuffing.